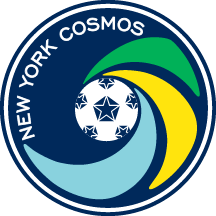 The New York Cosmos supporters collectively known as the 5 Points, consists of two supporters clubs: Cross Island Crew, and La Banda del Cosmos. On match days they congregate at MCU Park. The 5 Points congregate 2 hours before each home match at Steeplechase Bar (1904 Surf Ave, Brooklyn, NY 11224). Join them pregame for a quick drink or bite and get your excitement up before each match!